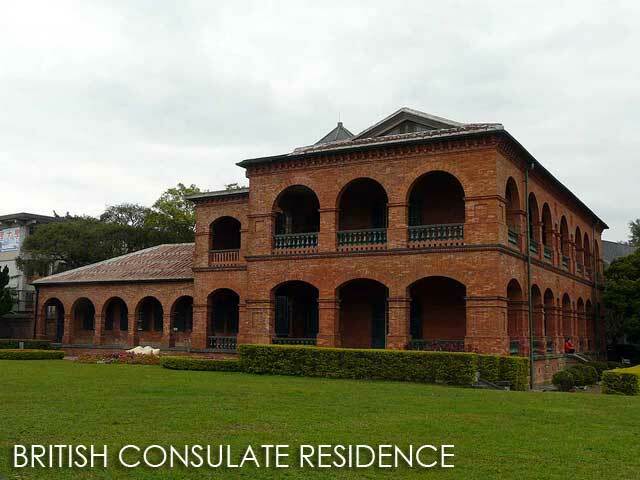 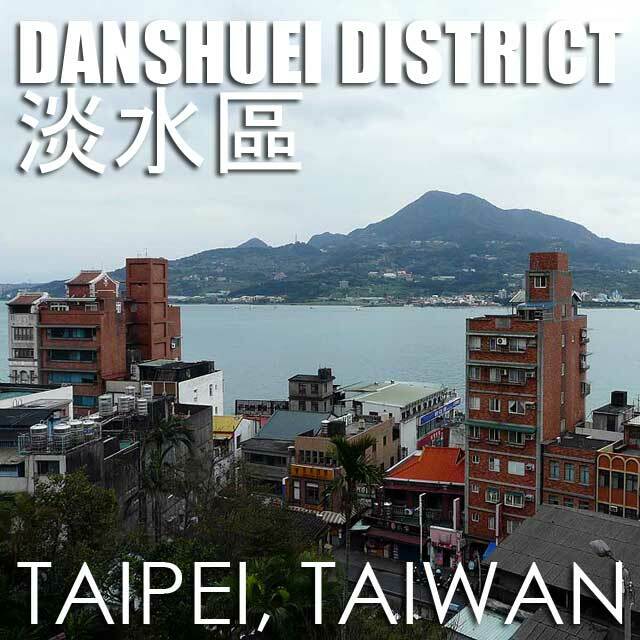 Danshuei 淡水區, also spelled Danshui or Tamsui, is one of the oldest colonial settlements in Taiwan. 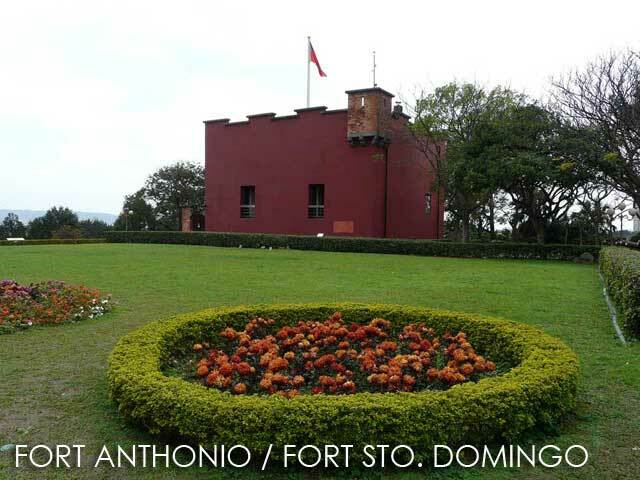 In 1629, the Spanish established the town and mission of Santo Domingo in the area. 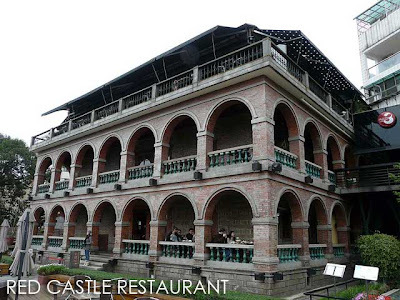 We first had lunch in Red Castle Restaurant, a colonial residence converted into a restaurant, before exploring the historical buildings of the district. 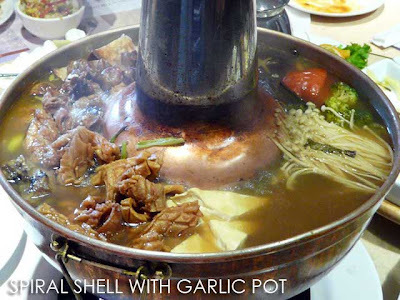 One of their specialties is the Brass Pot which is their version of hot pot or steamboat 火鍋. 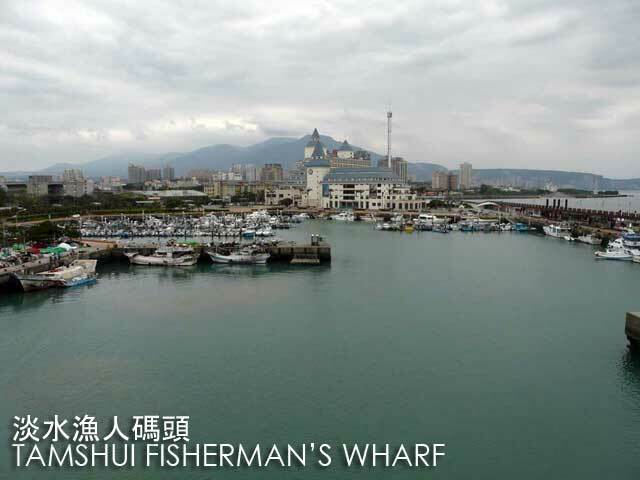 From the top of the restaurant, one gets a really nice view of the Tamsui River and Taiwan Strait. Fort Santo Domingo is one of the major attractions here, where you could find Fort Anthonio, built by the Dutch after they expelled the Spaniards, and the British Consulate Residence. 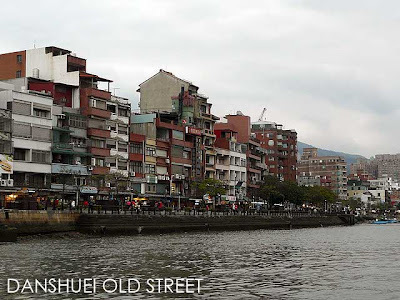 So from Danshuei Old Street, we motored to Fort Santo Domingo. 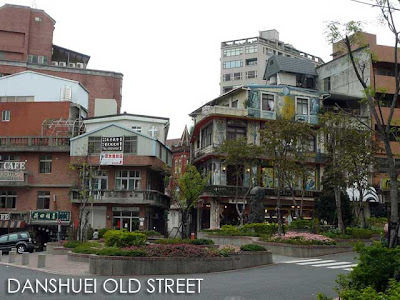 There are actually more old buildings in Danshuei that are worth exploring if you have the time. But the main attraction of the district is actually Danshuei Old Street itself, which is actually a network of streets that form a very popular shopping area, noted for its massive array of Taiwanese snacks and seafood restaurants along the banks of the beautiful Danshui River. 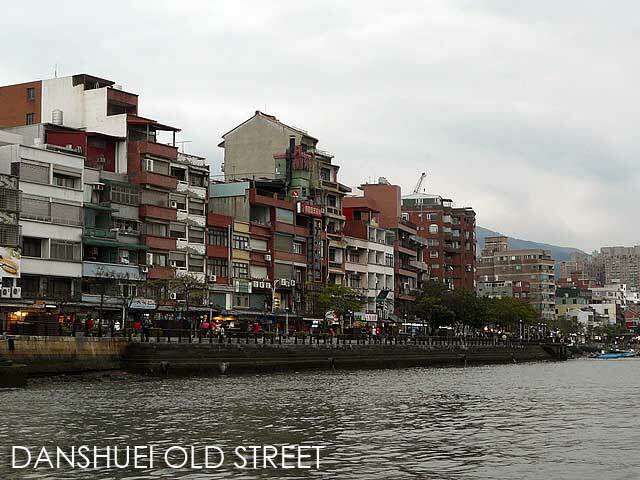 Instead of proceeding back to Danshuei Old Street by land, our hosts decided to bring us there via a ferry ride to show us the Danshuei District from the Tamsui River which made the community an important port in the olden days. 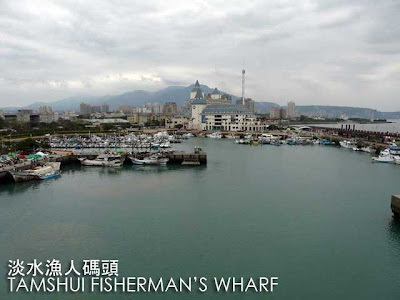 So we proceeded to Tamshui Fisherman's Wharf 淡水漁人碼頭 to take a ferry back to Danshui Old Street. 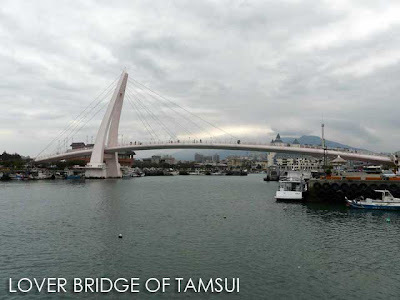 One of the distinct features of Tamshui Fisherman's Wharf is the Lover Bridge of Tamsui which got its name from the fact that construction commenced on February 14, 2003. You basically cross this pedestrian bridge to get the the row of seafood restaurants. We spent an hour or two just walking along the street looking for some souvenirs to take home. 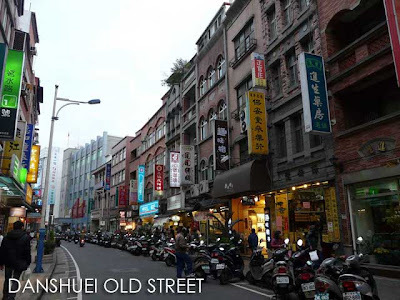 I actually noticed that many souvenir items are cheaper here, especially if you buy them from the street stalls on the way to the Metro Station. 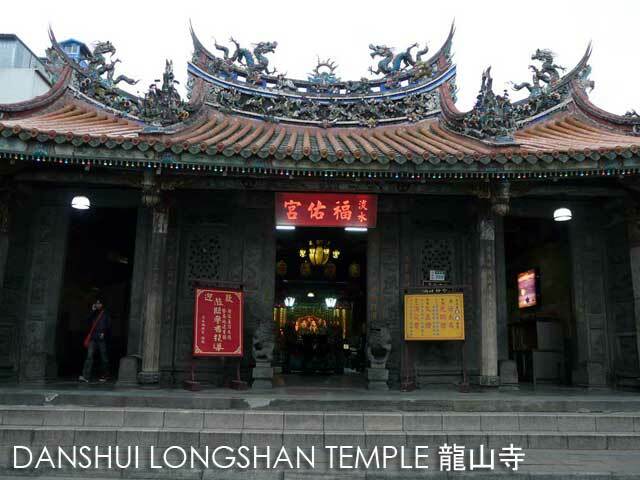 Danshui also has it's own Longshan Temple 龍山寺. 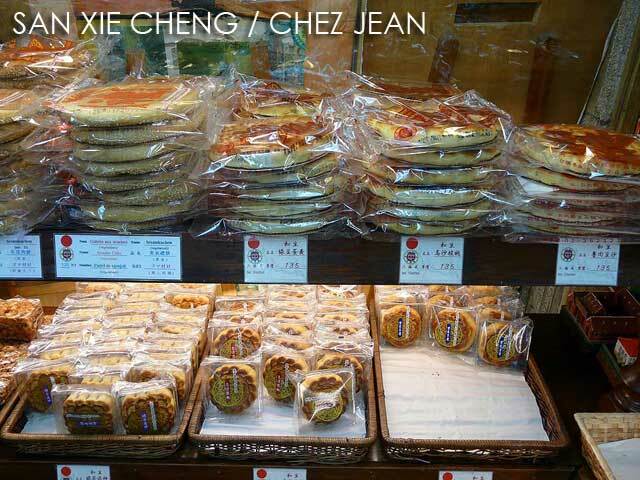 One of the stores we visited is a bakery called San Xie Cheng. It's easy to miss since the signs are all in Chinese. But if you notice the sign, you'll see Chez Jean depuis 1935. 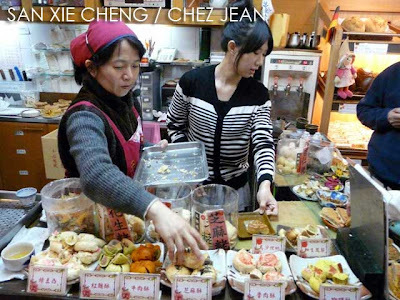 The bakery is known for its dragon and phoenix cakes. 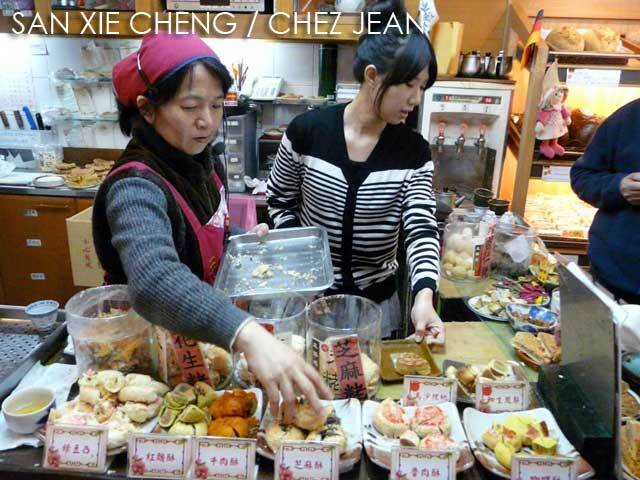 And the good thing is they offer free tastes to visitors who are curious about the cakes. 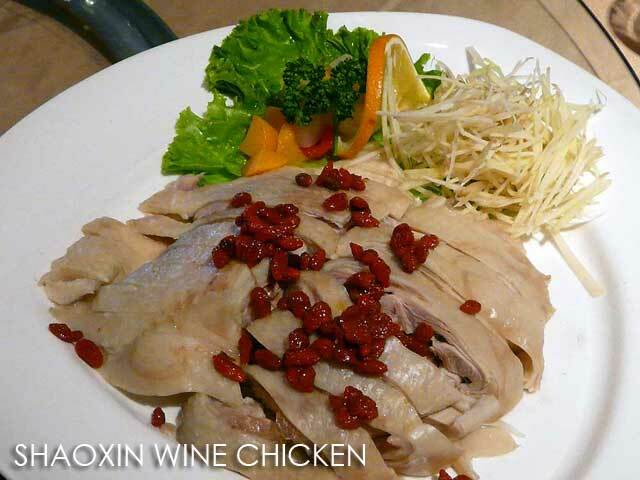 So if you are in Tamshui, try to visit San Xie Cheng. 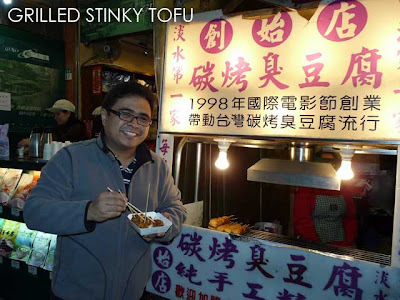 On the way back to the Metro, our host from China Airlines made sure we tried the grilled stinky tofu at one of the food stalls. 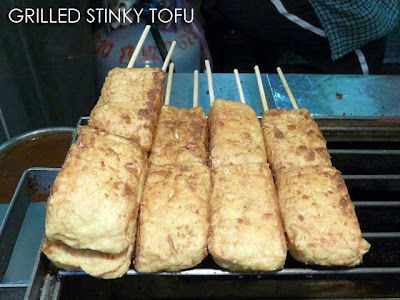 Danshuei also has a lot of hawker stalls so the area is also good for a street food adventure. 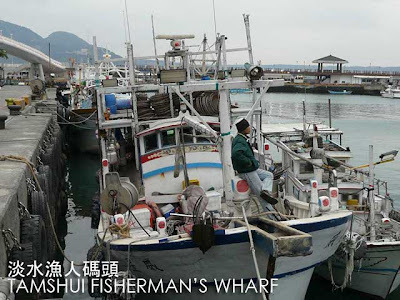 More photos of day 3 in Ivan About Town FB page.